Staying peaceful in challenging situations. 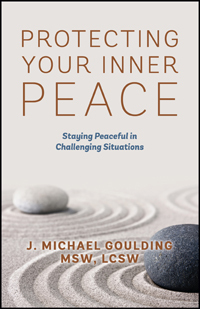 Author J. Michael Goulding’s self-help book Protecting Your Inner Peace provides an insightful primer into managing many of life’s stressors. There is a greater need today than any other time in history to protect the inner peace we inherit at birth. Many of us often find ourselves disconnected from our highest sense of self, however we perceive it to be, by allowing draining forces into our lives. While it may be easy to defend ourselves from the pushy person we may never see again, it is more challenging for those closer to us. Safeguarding our inner peace from family, clients and people in the workplace can be rather challenging. 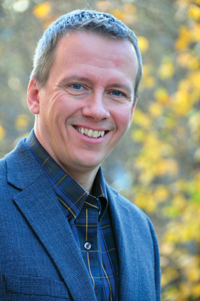 Protecting Your Inner Peace offers straightforward solutions to real life problems and teaches the reader to make peace with the most formidable opponent of all: oneself.Goulding’s work presents solutions by employing principles of Aikido and evidence-based psychological techniques. Protecting Your Inner Peace is a fusion of stress management, anger management, assertiveness training, and time management. This book helps you to: • Sort out your distractions and focus on what is relevant in reaching your goals. • Protect yourself from others who are trying to take away your time and resources. Learn to honestly protect your boundaries with the people that you see every day while still maintaining positive relationships with them. • Project your message past another’s defenses so you are heard and recognized. • Strengthen your standing in the world community by forming alliances with others. • Avoid misperceptions and the energy they waste by visualizing things as they really are. Protecting Your Inner Peace promotes the idea that peace is what you ultimately seek and gives you the tools to help you make your life a more peaceful one.